Oh my – what can I say. Thank-you to everyone for the amazing response to the launch of my blog. Your feedback, comments and encouragement have been inspiring. Please continue to spread the word and my commitment to each of you is that I’ll try to bring interesting, inspiring and informative posts on the topics that we each share a deep interest in. With that said I wanted to continue to share details of the truly amazing life journey that I have experienced so far – from a little girl from Northern Ireland to an etiquette coach, actress and TV resident etiquette expert here in Las Vegas. But before I forget many of you have asked what the photograph is on my blog page. It is the tree lined road known as The Dark Hedges — and you will likely have recognized them because these iconic trees have been used as a filming location in HBO’s epic series Game of Thrones, representing the King’s Road — so now you know! 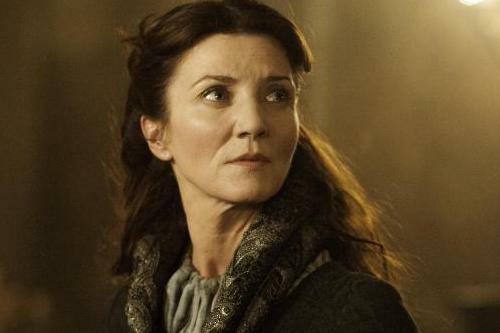 Another interesting item I wanted to share is that my good friend Michelle Fairley starred in Game of Thrones and is the daughter of Brian Fairley. Brian owned an Irish pub in Coleraine. At that time I worked at Fairley’s behind the bar and spent a lot of time wit h Brian and his family including Michelle. And this is where I met my husband John and the perfect segue from the last post. Michelle also starred in the most recent smash hit TV series 24 with Keifer Sutherland. To recap — in my last post I talked about my family and the incredible parents, siblings and friends that I had as I grew up in Coleraine, Northern Ireland. As I just mentioned my husband is John Keast who I married in 1981. We met in Fairley’s where he was sat at the bar drinking his usual pint of Guinness accompanied by a hot Bushmills Whiskey – actually several pints of Guinness. Thirty plus years later now we have three wonderful children — two sons, one daughter and two amazing little grandsons. We left Ireland in 1984 to move to Scotland and then to London, England where we decided one wintery December day to come to America for John’s work with DHL. We thought about it, decided and packed up in 3 weeks and arrived in California in January 1990 leaving many good friends and family behind but never forgotten — the sun was shining and we knew we had made the right decision. We lived in Half Moon Bay, CA for about a year and then settled in Redwood City, CA where we remained until June 2006. In my next post I’ll spend some time on the many wonderful years we spent as a family in California and how our 3 young children evolved from being cheeky little english kids into successful adults with successful careers, full and rich lives of their own. As always — if you like my blog please follow me by clicking on the Follow button and that way you will be notified every time I post to my blog — and sign up for my newsletter on my website. Thank-you. This entry was posted in Etiquette, Television and tagged Bushmills, DHL, Fairley's Pub, Game of Thrones, Guinness, Half Moon Bay, HBO, John Keast, Keifer Sutherland, Michelle Fairley, Northern Ireland, The Dark Hedges. Bookmark the permalink.